I am excited to have the gals from the Scientific Seamstress join us today. Not only are they sharing a favorite tool but it is one that they created! A folding template. 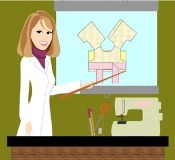 Hello from Carla, Cathy, and Jeanine, we are the team of sewing geeks over at the Scientific Seamstress. We believe in high quality patterns and detailed sewing instructions. 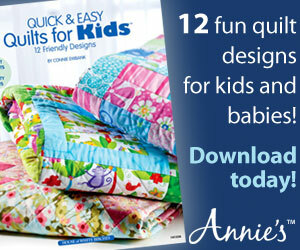 Each pattern has plenty of options and a great size range! Just like actual science our instructions are written in a clear, logical manner with extreme attention to detail. 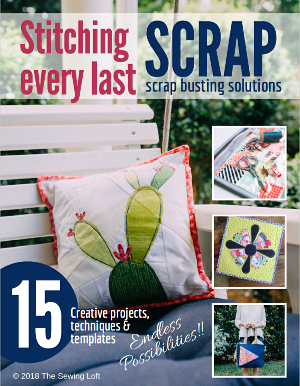 Whether you are new to sewing or have been sewing for years, you will love the simplicity of the designs, their timeless feel and that you don’t have to lose precious sewing time to deciphering instructions! You can just relax and enjoy the sewing process and then revel in the finished product. The Scientific Seamstress line is a good basic look with a touch of boutique whimsy and the Sisboom line of patterns are collaborative works with the renowned fabric designer Jennifer Paganelli. Between these two there is something for all ages, sizes, and tastes! One of our favourite tools over here at the lab is the folding template! 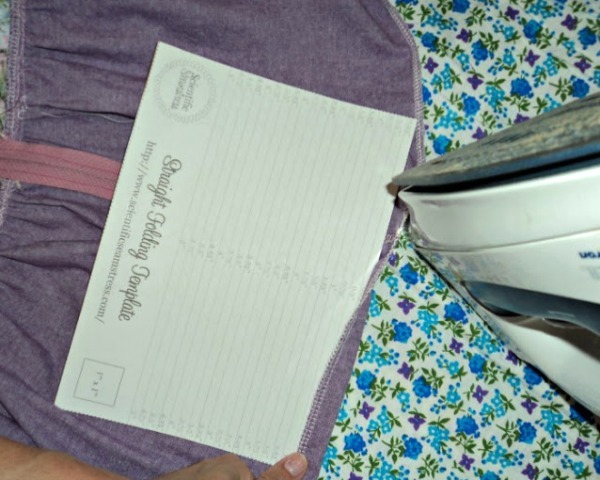 It makes hemming everything so incredibly simple! All you need to do is print your template (link at bottom of the post). You can print on to cardstock if you have it about. If you don’t have cardstock around you can do what I did and print onto regular printing paper and glue to some cardboard. I used cardboard from the back of my child’s construction paper pad. Then when you go to iron decide how much of a hem you would like and iron. This is especially helpful for those tricky double hems! And now all of your clothes will have gorgeous straight hems! You can find the free printable templates HERE. Included is the straight template and a curved template, each marked with multiple lines at 0.25″ increments and the instructions are included with the file! You can view our patterns in our etsy shop. 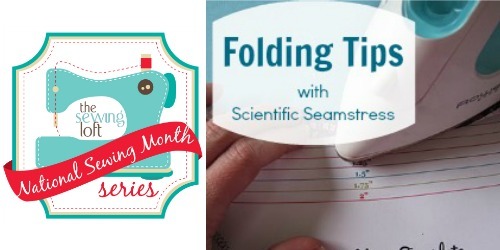 To keep up to date with our regular sales and sew-a-longs and anything else Scientific Seamstress related I recommend joining our facebook group, we would love to have you in our group! 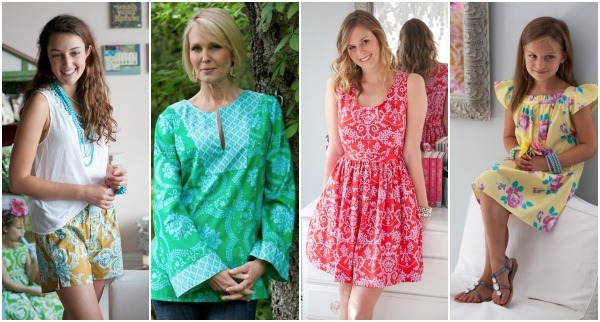 Thanks so much to The Sewing Loft for inviting us to share a favorite tool! 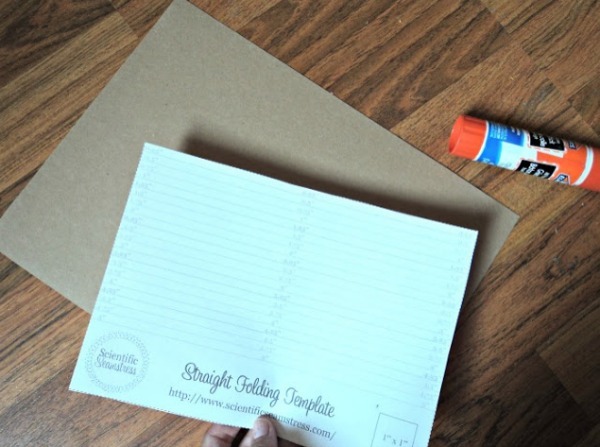 I love the idea of having one of these templates on hand! My fingers will forever that you! TJ is up next sharing her monthly meme. Love this! I tend to eyeball my folding, so this is the perfect tool! FLIPPING GENIUS!!! Thank you so much. Be careful if using this printed item in conjunction with the steam setting on your iron. Ink stains can ruin fabric.